To market and promote Lexington&apos;s Bluegrass Region for the purpose of attracting visitors and growing the economy. To serve visitors with genuine hospitality since Southern Starts HereTM. VisitLEX is a public service organization authorized by the Kentucky Revised Statutes (KRS 91A.350) and established in 1974 by a Lexington-Fayette Urban County Government (LFUCG) ordinance. VisitLEX&apos;s adopted budgets, financial statements and audit reports can be viewed on the Department of Local Government&apos;s website at https://kydlgweb.ky.gov/entities/specDistsearch.cfm. 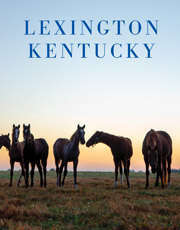 The Lexington Convention and Visitors Bureau (VisitLEX) positively impacts the economic well-being of Lexington-Fayette County by marketing the Bluegrass Region as an outstanding destination for leisure travel, business travel, meetings and conventions, and by providing quality service to these visitors. To encourage visitors to discover the historic, cultural and recreational opportunities available in the Lexington area. To encourage groups to hold meetings, conventions and trade shows in Lexington. To assist groups with meeting preparations and while their meeting is in progress. A convention and visitors bureau does not organize meetings and conventions, but guides meeting planners and visitors to attractions and services that result in a positive Lexington experience. Convention sales professionals at VisitLEX actively solicit meeting planners to host their meetings in Lexington. We simplify the meeting planner&apos;s responsibilities by providing information on facilities, assisting with hotel room commitments and guiding the planner to make the best possible use of the services and attractions in the area. 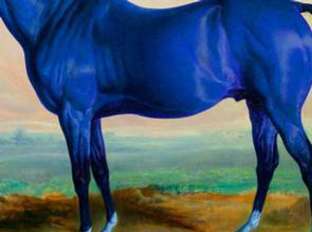 For visitors, we provide a wealth of information (in advance of their arrival and while they are in town) about what to see and do in Lexington. We produce a comprehensive visitor planning guide and provide vacation planning assistance. VisitLEX is a member of the Destinations International (formerly Destination Marketing Association International). Founded in 1914, Destinations International promotes sound professional practices in travel marketing and in the solicitation and servicing of meetings and conventions. In 2008 the Bureau was awarded accreditation by the Destinations International. This accreditation program defines performance and compliance standards for destination marketing organizations, assuring that staff, leadership and external stakeholders follow proper practices and perform at an acceptable level for the industry. VisitLEX is a public service organization authorized by the Kentucky Revised Statutes (KRS 91A.350) and established in 1974 by a Lexington-Fayette Urban County Government (LFUCG) ordinance. VisitLEX is not a membership organization. Operating revenue is generated by occupied hotel/motel rooms in Lexington-Fayette County. By state statute, hotels collect a six percent occupancy tax from their guests. One-third of that revenue goes to the Lexington Convention Center for debt repayment and operations, and two-thirds goes to the Bureau. VisitLEX is headed by a nine-member Commission appointed by the Mayor for three-year terms. Three commissioners are selected as representatives of the hotel and motel industry. One commissioner is selected as a representative of the restaurant industry. One commissioner is selected from a list submitted by Commerce Lexington. Four commissioners are selected at large by the Mayor and must be residents of Fayette County. In addition to the nine appointed members, there may be up to a seven-member non-voting ex-officio panel. The staff of the Bureau is the working arm of the Commission. The travel and tourism industry is the nation&apos;s second largest retail industry. As such, it is very competitive. Every state, city and destination is actively vying for its share of the tourist and convention market. A primary objective of VisitLEX is to secure Lexington&apos;s share of the industry.